EDIT: I didn't think about putting my graphics card which I now realize is silly. 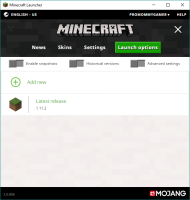 18:52:50	launcher	Minecraft client 1.11.2 is ready to start. 18:52:50	launcher	Nothing to download! 18:52:50	launcher	Extracting 2 files! 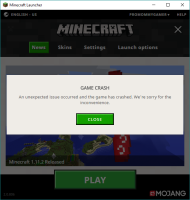 I tried to play Minecraft for the first time after the newest update which includes the new launcher. I try again and of course it crashes again. I uninstall and then reinstall. Try to play again. It crashed. I uninstall, make a backup of the /minecraft folder, delete the original, reinstall and it still crashes. 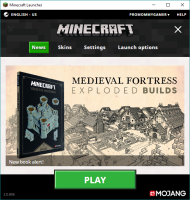 Then I uninstalled both Minecraft and Java (and delete /minecraft again), reinstall both versions of Java (first with 64 bit then with 32 bit then with both) as well as Minecraft. Still crashes. I've tried doing all of this everytime I try and install a different version such as the old launcher, the .exe version and the .jar version and it still crashes. I am at my wits end on what to do because literally nothing I do works and the game always crashes when I try to play it. Every. Single. Time. Please help me with this issue. Thank you. P.S. I can't find any crash reports.